Power distribution is entering a new chapter in its history. A digital age which will impact our lives and business as much as electricity did at the end of the 19th century, bringing with it a wave of innovations that blur the lines between the energy and the digital space. The traditional centralized model is obsolete giving way to new economic models and opportunities. Opportunities to redefine the core basics of power distribution; efficiency, reliability, safety, security, and performance. Recently at DreamForce I had the opportunity to join Marc Benioff, CEO of Salesforce during his keynote presentation. In the course of the keynote the lights went out in the room – a complete blackout. Imagine if this happened to your facility. What would be the consequences? Loss of revenue? Unhappy tenants? Loss of life? At the core of smart power distribution systems are smart devices that enable you to take preventive measures to mitigate these potential risks . These devices have become more than just responsible for controlling a single mechanism. They now measure, collect data, and provide control functions. They enable facility and maintenance personnel to deeply access the power distribution network. And they continue to become more intelligent. In many places throughout your power network this intelligence may be embedded inside other equipment, such as the smart trip units of circuit breakers. These smart breakers can provide power and energy data, as well as information on their performance, including breaker status, contact wear, alerts, and alarms. In addition to core protection functions, many devices are also capable of autonomous and coordinated control, without any need for user intervention. As I discussed in a previous blog post, our new Masterpact MTZ air circuit breaker (ACB) is an excellent example of a key piece of hardware that businesses have used and depended on for decades, and now has evolved to include new digital capabilities. One of these primary new digital technologies revolves around communication abilities and being able to send the data the device is gathering to a building analytic software. 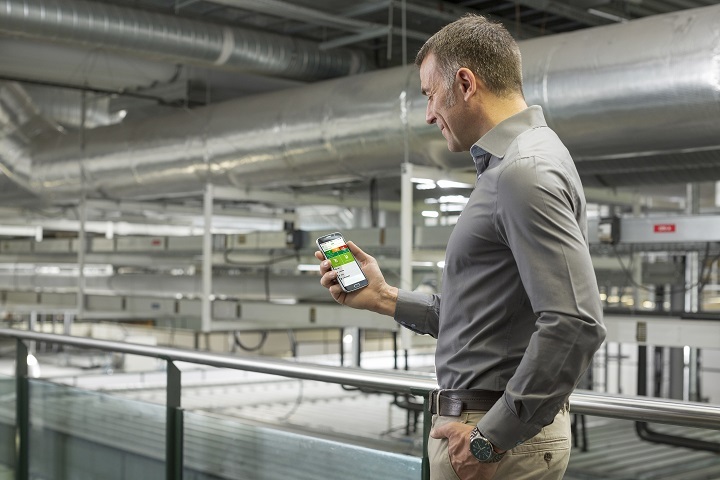 Schneider Electric Building Analytics is an advanced lifecycle managed service that delivers automated fault detection, diagnosis, and real-time performance monitoring for buildings. Information is captured from building systems and sent to our cloud-based data storage. From that point, our advanced analytics engine uses artificial intelligence to process building data and continuously diagnose facility performance by identifying equipment and system faults, sequence of operation improvements, system trends, and energy usage. Building owners and occupants are now focusing on workplace efficiency. From comfort to space, and occupant services to management dashboards, organizations are now placing more emphasis on well-being at work. When building analytics recommendations are implemented, the results are obvious – enhanced building performance, optimized energy efficiency through continual commissioning, and reduced operating costs — all with a strong return on investment and an improved building environment.